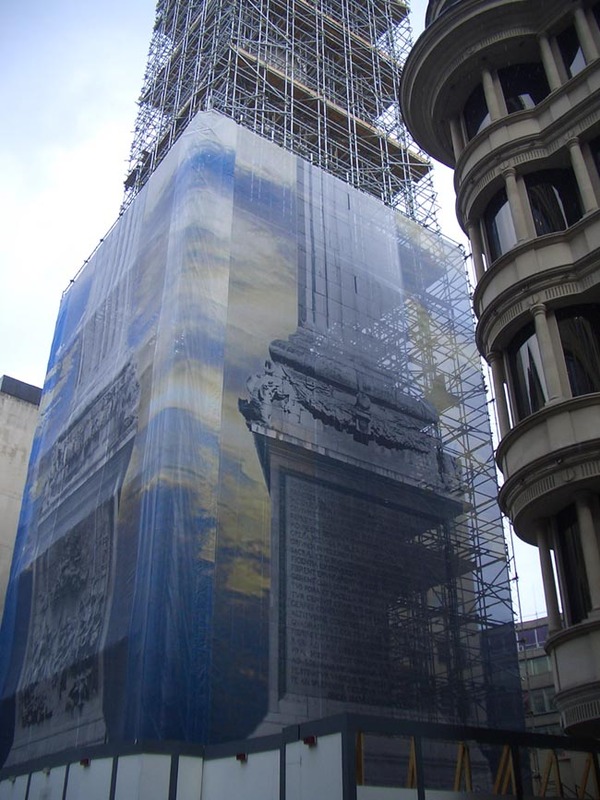 How do you wrap the monument? Why slowly and carefully of course! And you call in an expert company like Pyramid Visuals. The Monument attracts thousands of visitors of visitors every single year so it was deemed extremely important to retain its acclaim as one of London's top visitor locations in the city and so an upgrade and refurbishment was called for, to bring new life to the Monument. 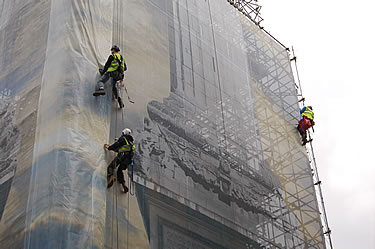 When the monument was closed in 2007 for repairs and upgrades, it was required for the scaffolding to be encased in a wrapping to double up as a protection covering around the scaffolding structure during the construction work. 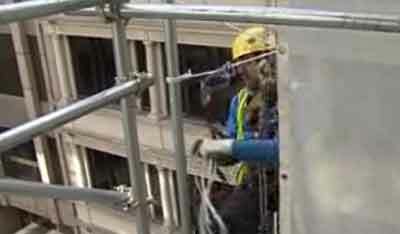 Pyramid Visuals was contracted to provide the building wrap to encase the scaffolding. Images of the project were printed on 25m X 15m panels on their high speed scitex superwide digital print machines and welded together using a hot air welding machine. 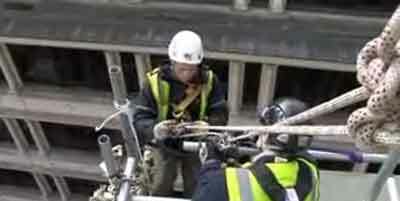 The printed panels were then hoisted up the monument's 202 ft shaft and lashed into place by a team of abseilers who then worked their way down the monument, securing the pieces into place. The Monument starts taking shape.